HomeOpinionCommentaryCome On Board As We Continue To Publish Local News! Park Forest, IL-(ENEWSPF)- Thank you to those of you who subscribed to eNews Park Forest. Beyond our email list, which is free and simply circulates headlines with links to stories, we now offer a premium subscription so we can continue to offer quality, local news for Park Forest and beyond. There are two of us, essentially, who do this, every day. I’m the “local beat” reporter. I’ll work harder to bring more. Rosemary Piser, now working from Oregon, publishes many stories that begin as press releases from schools, organizations, and pols. She also publishes other items of state and national interest. Hosting for us is just over $200 per month. Our advertising component, BroadstreetAds, is $189 per month. Our business directory costs money. There are numerous components running in the system, behind the scenes, that cost money, either monthly or annually. Plus, there’s media liability insurance, which, besides hosting, is our most costly investment. There have also been freelancers we have paid through the years, writers and photographers. And, there’s that wonderful tech. person I managed to find through membership in LION Publishers. Manon is worth every penny I’ve paid her when we’ve had technical issues, needed to optimize the site, or simply wanted to do more. There are other vendors we deal with from time to time. I’d like to do more of that. Pay more people to write for our publication, after we’ve built a stronger subscriber base. I’ve made next to nothing on this for over 11 years now. I cannot afford to offer this for free any more. My commitment when I started this was that we would cover Park Forest better than other local media. We’ve done that, and continue to do so. I post stories because they’re newsworthy, local stories. And you’re not going to get the detail in our police reports anywhere else. People deserve to be informed. We work hard to do that for you. And, some day soon, maybe I can hire more people. More stringers. More freelancers. More photographers. To cover Park Forest as completely as humanly possible. There’s a motto to shoot for. Please subscribe to eNews Park Forest. 2018 looks to be a year of growth at your favorite local news site, and we’d like you to come along for the ride. Join us! Subscribe and claim us as your business, your news site. As we continue to evolve and grow, we’re asking you to come on board. We offer you five courtesy pages a month to make your decision. If you’ve been here before, you already know we are a tremendous resource. We have published constantly since the fall of 2006. And we’re not slowing down any time soon. We’re giving you something you can’t get anywhere else. Local events, upcoming and past. Coverage of Park Forest government, the schools, police reports, fire activity — and the good things people do in our town every day. The best-of Park Forest and beyond. For business owners reading here, we have a business directory that likely already includes all of you. 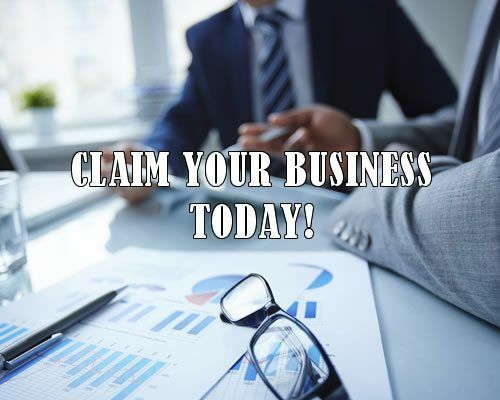 Business owners or their representatives just need to claim their free listings. For only $15 a month, you get more, including the ability to advertise events at your business (that’s crazy inexpensive advertising). For only $50 a month, you get a whole lot more. Our site has been up for 11 years. In that time, we’ve earned a Domain Authority currently ranked at 53/100. That’s crazy high for a news site. We are now also archived in Newsbank, an “online resources provide researchers of every kind with valuable information on any topic imaginable.” You might come across our stories there while at the Park Forest Library while doing research. That archive runs independent of us, and will be there for years to come. For our readers, thank you. We have doubled down on local content. And the police reports. They’re still coming. We do publish an incredible amount of local news and events every week. There will be more. And we’re going to stay here, publishing news, commentary, and more. We’re too psyched to quit. But, please, check out our business directory. There are at least 5 zip codes worth of local businesses there — and, again, with a shout-out to Park Forest businesses, if you register and pay, you get premium placement. Your business page on our site becomes a direct door to your web page, to your business. Or, better yet, make your business listing on a eNews Park Forest your personal web page.witha premium listing, you can add photo galleries, coupons, events, and more. Take advantage of our Domain Authority. Customers will find you sooner here. Please, take another look at a local business. Readers and businesses alike, explore our business directory, and see how much there is to do here, in our town, Park Forest. So, again, thank you to those of you who have already subscribed. To those ready to support our work to bring you the best in local news coverage, come on board today!